After a thorough examination to determine the cause of your pain or dysfunction, we will create a customized program based on your individual needs. 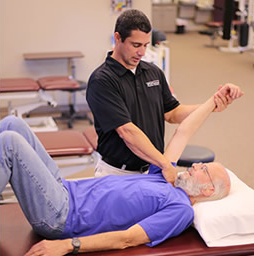 We use hands-on treatment to increase mobility and improve function, along with a specific exercise program to provide pain relief and assist in achieving your physical and functional goals. Our surveys show that our customers are more than 97% satisfied with their experience at ProFormance.